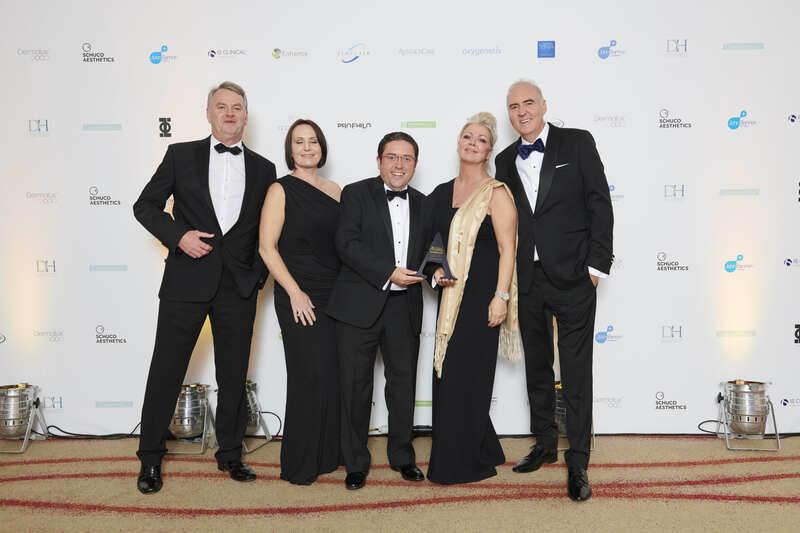 This award acknowledges the vital role played by UK distributors who bring new, international products and treatments to the UK medical aesthetic market. Finalists will be selected on the basis of their customer service, product representation and ongoing support to practitioners. The winner will be selected from the finalists using a combination of Aesthetics reader votes and judges scores. Voting will constitute a 30% share of the final score. Please note that the word count for each question is inclusive of references. Healthxchange Pharmacy, recognised for excellent service and quality pharmacy products since 2000 serving 10000+ aesthetic medical professionals throughout UK & Ireland. A highly trained customer service team help process and track orders through multiple platforms; web, email, telephone, fax. 2. Continual development of the E-PHARMACY saw new QUICK ORDER & RELATED PRODUCTS functions and improvements making anywhere anytime prescribing/ordering even easier and faster, all with the HIGHEST LEVEL of SECURITY. NEW! W1 FREE SAME DAY delivery adds to the unique PRIME service for clients seeking an ENHANCED experience includes FREE PRE 10AM NEXT DAY as standard. Prescribing Consultation service: GROWN from 2 to 5 INP/PIPs this team delivers FREE UNIQUE IN-CLINIC EDUCATIONAL PRESCRIBING PATIENT SUPPORT. Significant investment underpins our belief in education: 2 (+ 2 NEW) OUTSTANDING TRAINING ACADEMIES and our CONTINUALLY DEVELOPING WORKSHOP/EVENT PROGRAMME delivers excellence in CPD EDUCATION. We continue to support and fund the biggest challenge to Aesthetic Medicine, ‘VAT on treatments’. AN UNPARALLELED MEDICAL TEAM including 5 doctors, 6 pharmacists and 13 nurses ensure efficacy and safety come first. “If our doctors won’t use it, we won’t sell it!” We are the ONLY PHARMACY DISTRIBUTOR with their OWN MEDICAL DIRECTORATE analysing products before offering out to industry. Our clients trust us to offer only the very best products which is why we select leading brands like ALLERGAN, OBAGI, and ULTRAcel. Alma is a global innovator in aesthetic and surgical technology with R&D and manufacturing facilities on three continents. ABC has been one of Alma’s top international distributors in the global infrastructure since 2003. In 2017 ABC was awarded Best European Distributor for Medical Aesthetic Sales by Alma Lasers. Over the last 16 years ABC have delivered modular high-performance systems based on clinical research and innovative technology that minimize patient downtime and discomfort. Always at the forefront of innovation, ABC introduced SHR™ technology into the UK in 2006. This delivered a virtually no pain LHR treatment for all skin types, which was an industry first. Expandable modular systems like Harmony PRO, combine multi application, clinically proven technologies with over 70 FDA cleared indications designed to work independently or together as a single cohesive, harmonious system. It is the combination of innovative, clinically proven technology that sets ABC apart and enable practitioners to deliver safe, effective and profitable treatments. The ongoing commitment to innovation demonstrates why clinics rely on ABC as their technology partner. As the UK distributor of award-winning brands NeoStrata, Exuviance, Clinisept+, skinbetter science, Skin Tech, RRS, XL Hair and XxtraLash; AestheticSource offer a portfolio of tried and trusted products, tested protocols, training and education, B2B and in-clinic marketing and efficient customer service and support to aesthetic clinics throughout the UK. We choose to distribute with the most professional, science-backed brands. Our existing portfolio sees us working with global leaders, bringing a consistent pipeline of exciting novel technologies and new formulations to ensure our customers have the best portfolio of products available for a holistic approach to skin and body rejuvenation. Our Director has a Nursing background with thirty years of experience, working firstly in dermatology and then in aesthetics. Our training team all work in their own clinics and therefore bring up to date and clinically relevant knowledge to our trainings. Their wealth of experience enables the KOLSs to provide invaluable support and guidance to us but more crucially, to our valued customers. We are more than just a distributor, our unique and hands-on approach enables us to offer more than just leading products and work with our customers to build long-term relationships . Eden Aesthetics specialises in high quality, scientifically researched aesthetic equipment and skin care products which are distributed across the UK and Ireland. The product portfolio consists of cosmeceutical ranges with retail products, facials and peels, to more aggressive treatments such as an automated Microneedling pen which penetrates up to a full 3mm. All products are subject to full ongoing research and have been tested and endorsed by leading medical professionals in the UK and Europe to ensure customer satisfaction. As part of Eden Aesthetics commitment to customers we offer extensive ongoing training, marketing support and a comprehensive national PR campaign. Stock is held in a UK facility to provide unparalleled levels of customer service. Unlike other distribution companies, Eden Aesthetics has a sister company; Woodford Medical. This provides new and existing customers a fantastic opportunity to see a well-established clinic in action, and ask the therapists, nurses and doctors about techniques and how to upsell treatments. Eden Aesthetics relies on Woodford Medical and their medical knowledge to answer difficult medical questions, advice on contraindications and protocol queries. The longevity of Eden Aesthetics sets the company apart from other distributors. Established in 2002 and still going strong. Eden Aesthetics is a small, family orientated business, with a very low staff turnover. The main workforce behind Eden Aesthetics, have been with the company for over five years, proving that Eden Aesthetics is an enjoyable and rewarding company to work for. HA-Derma has been the exclusive UK & Ireland distributor of IBSA Italia since 2015. IBSA is a privately owned pharmaceutical company established in 1945 with its headquarters in Lugano, Switzerland. IBSA Italia is the dermoaesthetic division located in Lodi, Italy. IBSA is a global innovator in osteoarthritis, fertility hormones, urology, respiratory, dermatology and aesthetics fields with 25 R & D laboratories and manufacturing facilities in 10 countries, subsidiaries and distributors around the world. IBSA is present in more than 80 markets in 5 continents. HA-Derma is proud to be one of them and to have been at the forefront of IBSA’s global growth and development as well as in raising its profile in the UK & Ireland. We deliver excellent customer service, exemplary training and support. Our mission is to achieve recognised excellence through quality and reliability. Our portfolio of products sees us working with global experts, bringing exciting new technologies and new formulations to ensure our customers and patients have the best products available. Medical Aesthetic Group (MAG) is led by yachtsman, organic farmer and entrepreneur David Gower and has been distributing ethical and effective products and treatments for nearly 20 years. MAG manage a portfolio of aesthetic treatments and products that can meet all of a clinic’s non-injectable requirements. This enables us to form long and strong partnerships with all of our customers. These relationships enable us to provide full support, training and new product introduction is provided on a regular basis. With our wealth of knowledge and extensive experience working with medical manufacturers on a global basis we are able to bring to the UK, trusted and ethical professional products from companies who are driven to succeed scientifically. We have always placed great importance on input and guidance from our medical director and we are delighted to now be working with Dr Beatriz Molina who will assist us in product analysis, performance and training. Dr Molina is a strong advocate of our company and treatments and will ensure we continue to provide only the best solutions and training to the UK profession. Naturastudios offer clinics over 15 years’ experience in the industry and we strive to deliver peace of mind to aesthetic professionals; enabling them to deliver the latest innovative, high grade technology to their clients and patients. At Naturastudios we spend time researching the highest quality products and systems while keeping in mind the ever changing aesthetic industry. We pride ourselves at Naturastudios on a personal approach with our customers. The Naturastudios team believe that the initial appointment is only the start and are passionate about aiding clinics in introducing new treatments with ongoing technical, marketing and customer service support. Many of Naturastudios’ customers have a positive relationship with their account manager, trainer or member of the team knowing that we are always on hand to help. Naturastudios attend all major exhibitions in the UK, meeting customer and introducing them to team members and experts. Naturastudios are excited about the launch of our new showroom and training academy in Summer 2018 where we look forward to meeting more clinics and offering education and new equipment. Naturastudios will invite industry experts and ambassadors to the showroom for expert talks, training sessions and workshops making it a hub for education within the aesthetic industry. 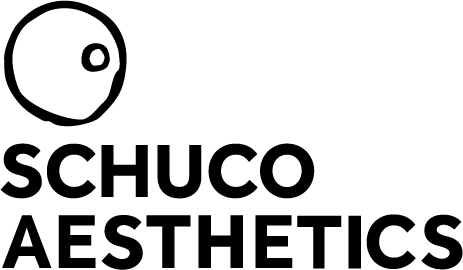 Schuco Aesthetics is a division of Schuco – a specialist medical and dermatology distributor who have been in the business of skin for over 60 years. We pride ourselves on our expertise and passion for bringing the latest technology and quality products to market, and with our new Aesthetic business division, we are in a unique position to bridge the gap between dermatology and aesthetics and help grow our customers’ businesses. As a distributor, we can be highly selective about the products we choose to introduce into our product portfolio. We only bring products to market that have a proven record of achieving outstanding results, with an innovative approach and a proven safety profile. Our product portfolio is designed to feature products that complement each other, to allow practitioners to deliver a combined and holistic treatment approach. As a business our sole focus is on the skin, bringing innovative products to practitioners, providing our customers with top-quality clinical training, clinical support, and supporting our customers to grow and develop their clinic offering.